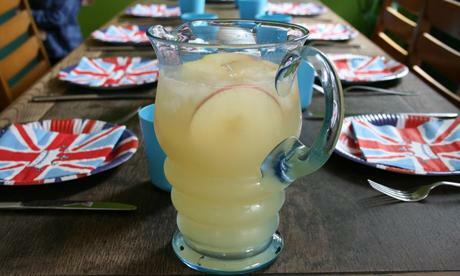 I had my Jubilee party on Monday and this is the punch I served. We were lucky enough to have a dry day and with 8 children needing to run around I was very grateful they could go out into the garden! Pour all the ingredients into a punch bowl or jug. Stir and add plenty of ice. Decorate with thin slices of apples or pears. This is a lovely fresh punch that is very refreshing on a hot summers day. Kitchen Garden – I’ve Been Busy!